What has Richmond Rotary Club achieved in 2017/2018 ? 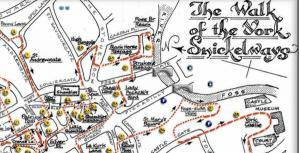 Join us on a visit to York for the Snickelways Walk. 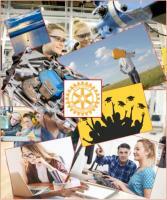 Richmond (Yorkshire) Rotary Club Trust provides educational and/or training grants for young people. RICHMOND is an historic market town with beautiful Georgian architecture, a cobbled market place and Norman castle. The first of all Richmonds, the town was granted a Royal Charter in the medieval period giving it rights to hold markets and fairs. The town has been an important regional centre ever since. Situated on the edge of the Yorkshire Dales with the delightful river Swale flowing around its outskirts, Richmond is a town that inspires all who visit. The ROTARY CLUB OF RICHMOND was established in 1955 and comprises of 35 individuals from a wide spectrum of the Richmond and district business community. The club's members meet on a regular weekly basis to enjoy each other's fellowship and discuss ways to serve others. Check the "Meetings & Events" tab for upcoming or completed fundraising and social activities. Rotary is an international membership organisation made up of people who share a passion for and commitment to enhancing communities and improving lives across the globe. It is a secular organisation open to all people regardless of race, colour, creed, religion, gender, or political preference. President Robert Hughes will be pleased to welcome to our meetings any Rotarians visiting Richmond or the Dales. If you are a non-Rotarian visiting our website and you are interested in joining the Rotary Club please call our secretary Robert Carey on 01748 818328. The Leyburn Brass Band will be playing in the Town Hall. 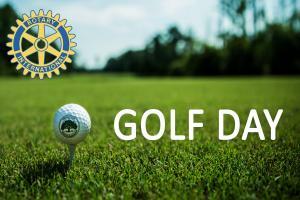 Tickets are available for Rotarians, Friends and Neighbours! No Meeting. Tuesday follows a bank holiday. President Elect and his Officers set out their plans for the forthcoming Rotary year, which starts on July 1st.